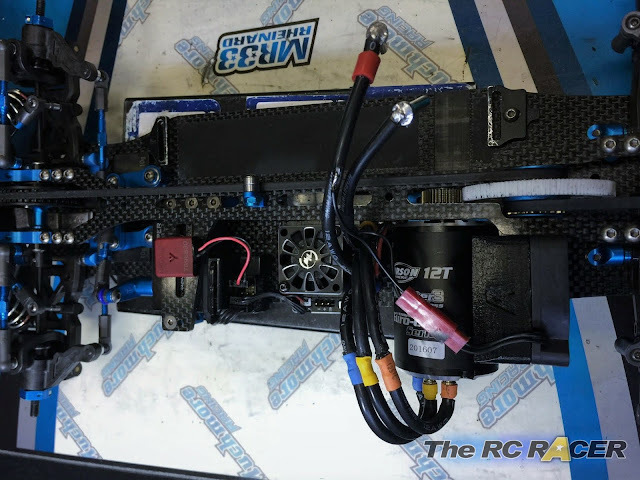 You want to ensure that your motor is running as cool as possible to ensure that you can keep your car performing well throughout the race. This leads to us running a nice large fan to ensure the motor stops becoming toast. Over the last few months the team here have been testing ways to cool our motors more efficiently, and with some techniques adopted from aerodynamics on race cars we have created a new type of cooler attachment for your fan. Bernoulli's Principle has been used to ensure that we actively speed up the amount of wind coming from the fan and hitting the motor. Essentially it works on the principle that the air has a fixed volume, and as it is squeezed through a more narrow space it speeds up. 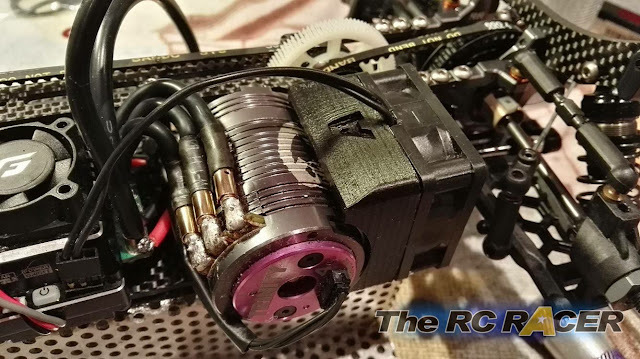 The design of these mounts have been perfected to ensure that we get a good amount of increased cooling, and also have positioned the fan so that the motor will not be affected by the Brushless motors magnet (We found that this could have an effect on those running mod). First you want to screw on the fan. 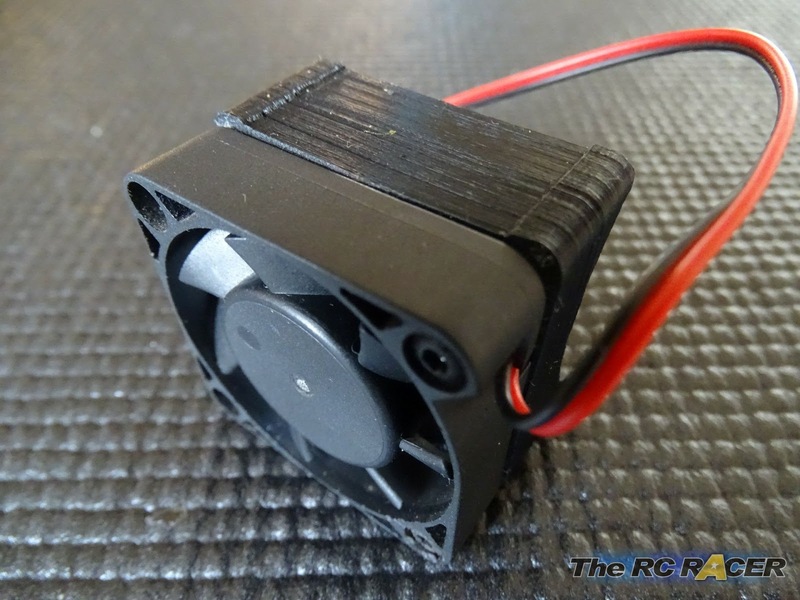 We use 40mm fans, however I have also made one for people who prefer to use the 30mm fans. These parts are 3D printed so the holes will be quite tight to ensure that you get a good amount of grip on the screws. The mount is easy to fit. There is a ridge on the bottom where you just attach some double sided tape. 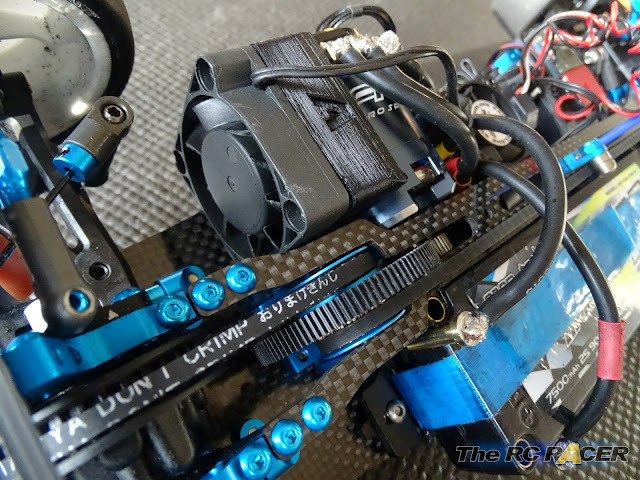 You want to ensure that the mount has 1-2mm distance between it and the motor. 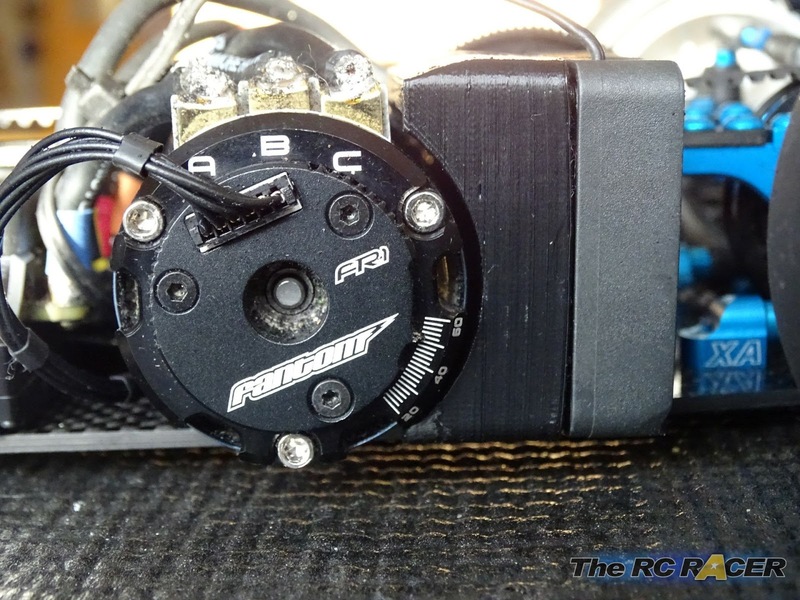 When you change your gearing you will need to pull off the cooler and then re-fit it. Nice and simple and it will ensure that it will fit on any chassis. 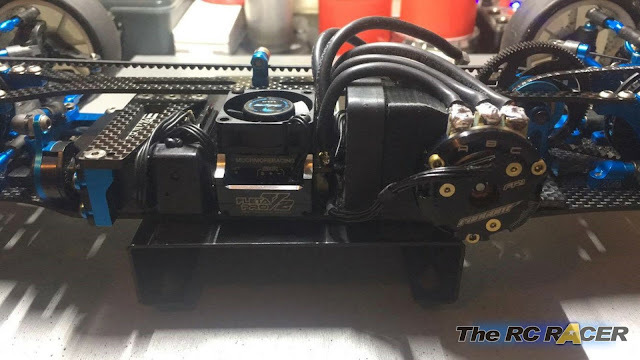 You can fit this mount either side of the motor. In an ideal world you would be able to fit it in front of the motor. This will also give you some Ram air, although with the high RPM that a good motor fan can attain nowadays then the benefit is negligible. The depth is slightly less as 30mm fans are usually thinner although I would still give 22-23mm space to be sure. 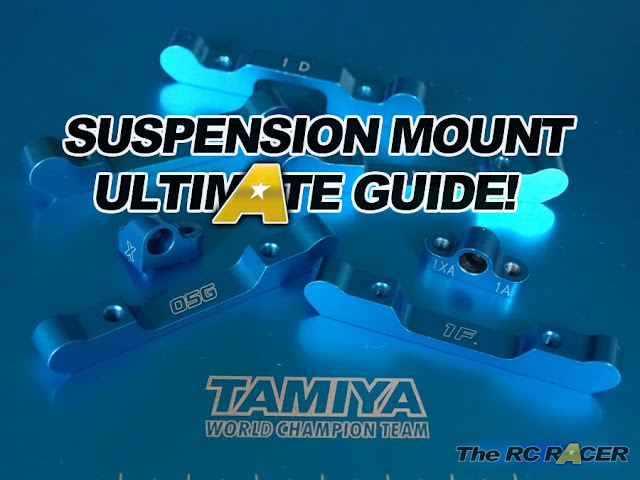 Drivers have mounted them in a range of TC's from TRF, Destiny, X-Ray, VBC, Arc etc. It's been fun developing these, they seem to improve the cooling. When racing with a std fan mount and then swapping to these mounts all of the drivers have found that the motor comes off noticeably cooler. However it must be remembered that every race can give you different temps depending on how hard you drove etc. So it is impossible to do a perfect side by side test. However all of the drivers that have been using them have now kept them on the car, allowing them to get the most out their motors and winning local, regional and national finals. 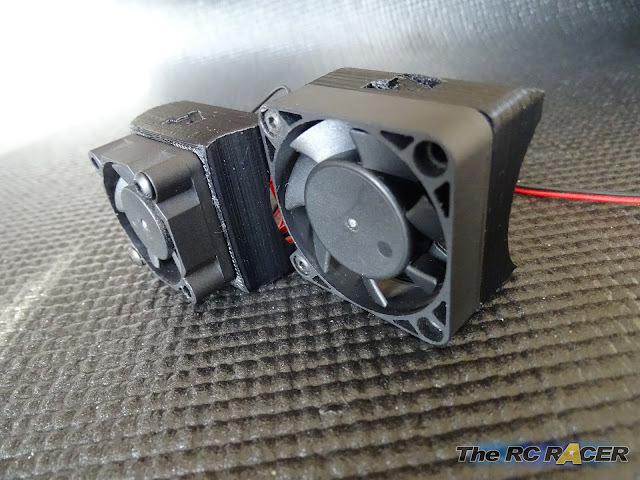 There are two fan boosters available here from Shapeways. One for 40mm Fans and one for 30mm Fans. ** DISCLAIMER ** I am making these available for other racers as they seem to work well. This is still considered a prototype part, as all feedback will be gratefully received and the design can be refined.